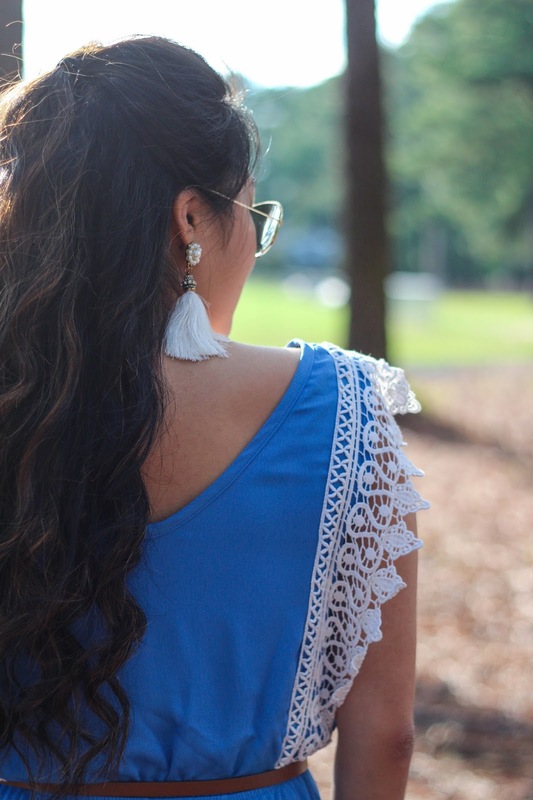 I am so excited to finally launch my Gracefullee Made: Tailgate Looks mini-series today in honor of the first UNC home game TOMORROW. 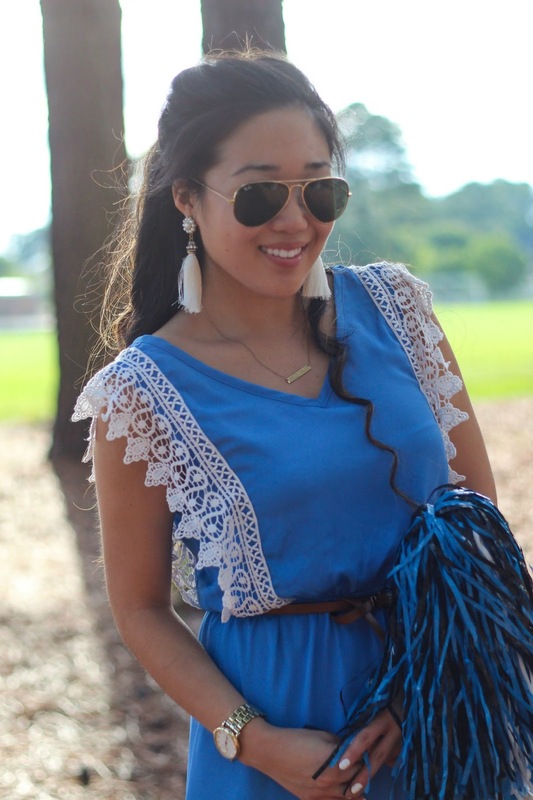 To give you a little insight of the series, I want to share 6 tailgating looks total. 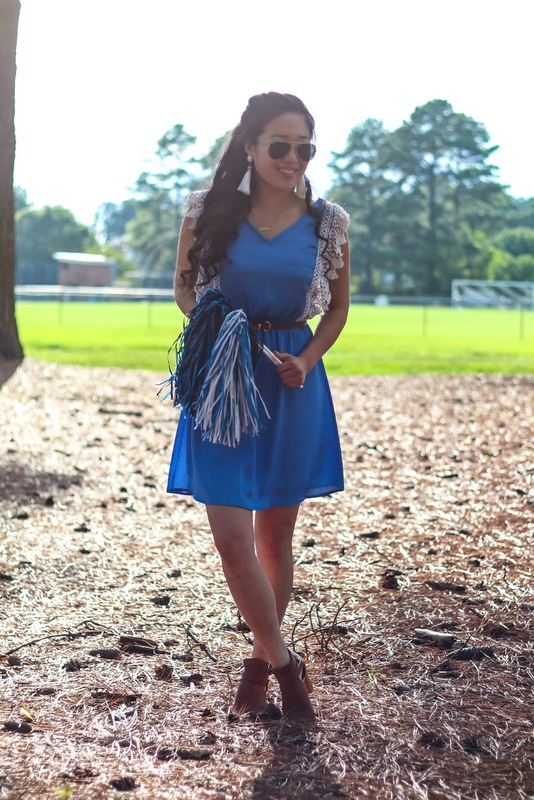 Since I'm repping my school (GO HEELS) for these looks, I'll be focusing on looks to wear for a Carolina tailgate. 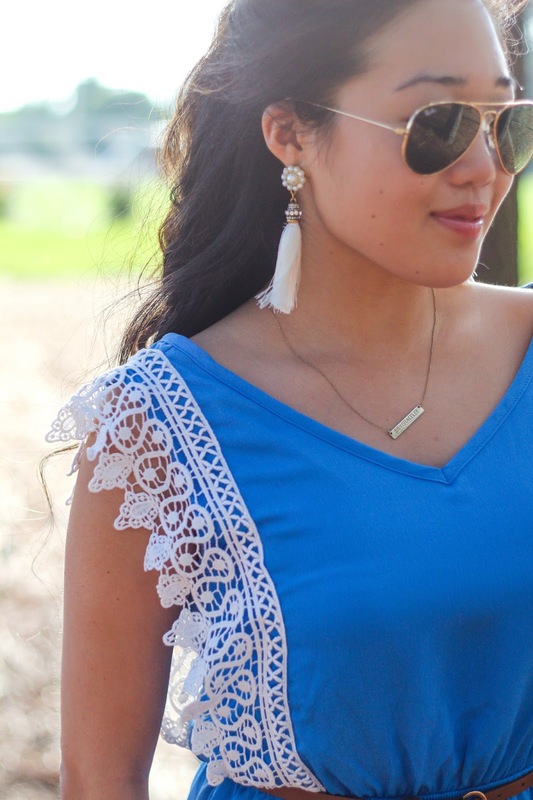 But even if that isn't your college or team, you can still use these looks to inspire you to create your own tailgate looks and create similar pieces off of them! Helloooo, inspiration! 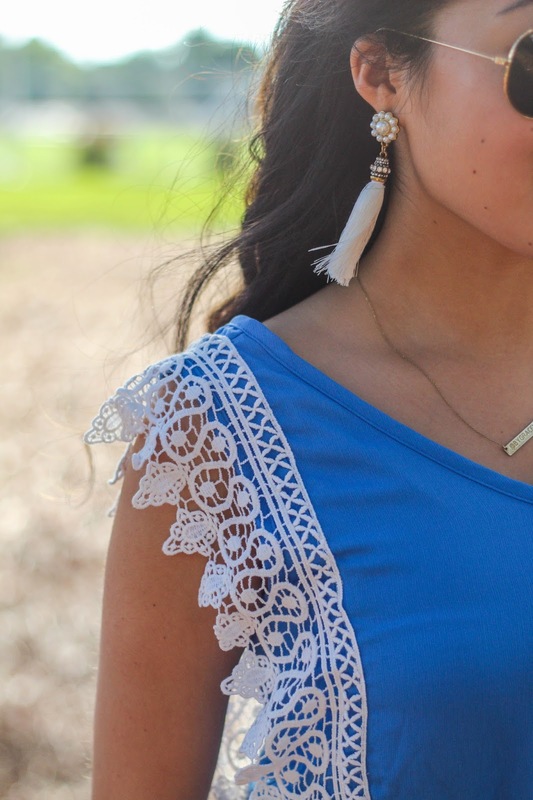 I'll even try to link or find similar items that come in various colors at the bottom of the posts. 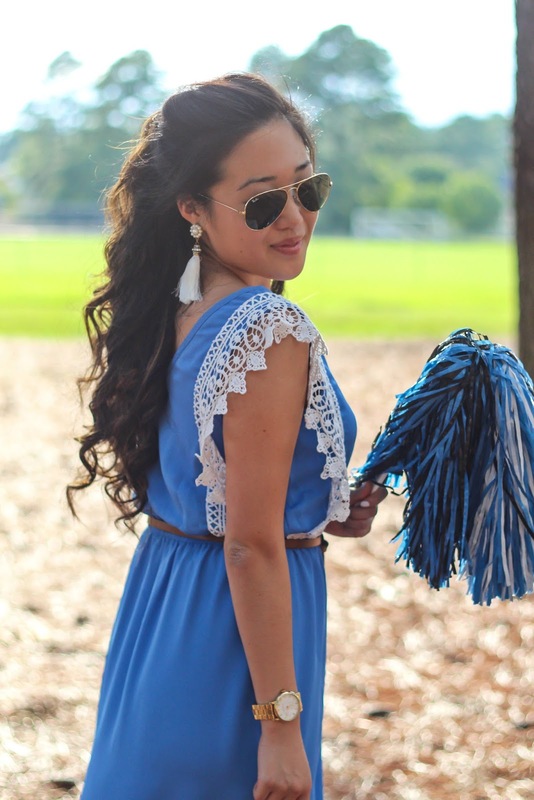 Impressions Boutique also offers various GAME DAY GLAM looks based on your favorite collegiate teams here. Thank you to Impressions Boutique for partnering on this post.